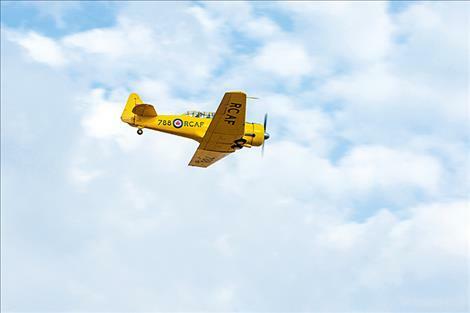 A vintage World War II-era Royal Canadian Air Force AT-6C trainer makes a loud, low-level, high-speed fly-over. Pilot Tom Bass and pilot trainee Amber Jones taxi their way down the runway. 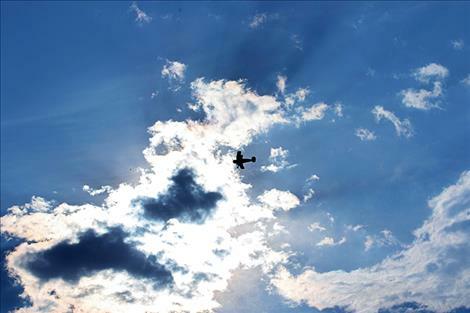 Skies above Polson were filled with all kinds of activity and interesting aircraft Saturday morning as more than two dozen vintage, homemade and experimental aircraft flew in from across the region. 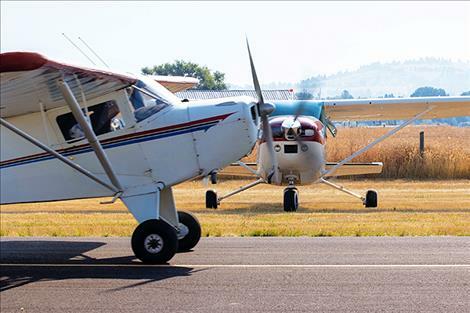 The fly-in pancake breakfast, held at the Polson Airport, is an annual event hosted by local Chapter 1122 of the Experimental Aircraft Association. 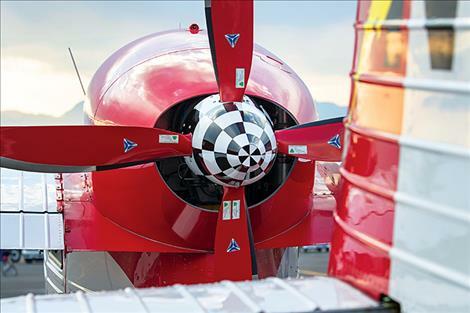 EAA-sponsored fly-in events like this are held at airports throughout the Mission Valley each year to raise awareness about aviation and its importance to local communities. 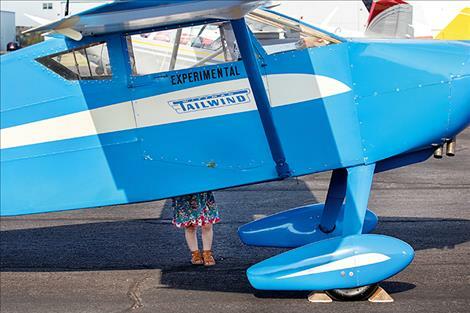 At one end of the airport, planes lined the runway giving wide-eyed visitors of all ages a chance to experience a diverse variety of aircraft up-close and personal. One young attendee even likened the fly-in as a car show with airplanes. Aviation’s role in community safety was this year’s topic for the event. Spectators could also see displays of aircraft, a special presentation about a medical helicopter, and life as a smoke jumper. Along with the breakfast, the event gives pilots an opportunity to display their planes and a chance to hang out with other pilots. 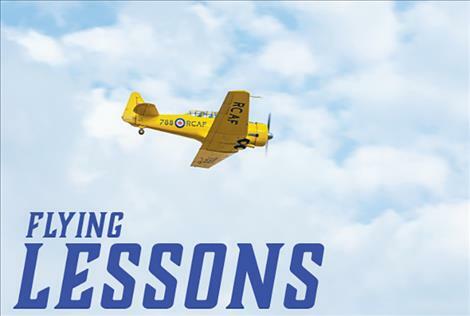 “I am going to meet four, five, six of my flying friends,” Bruce Wood of Elliston said. “We are all going to meet here and have breakfast.” Wood also said attending events like this gives him an opportunity to get out and fly. 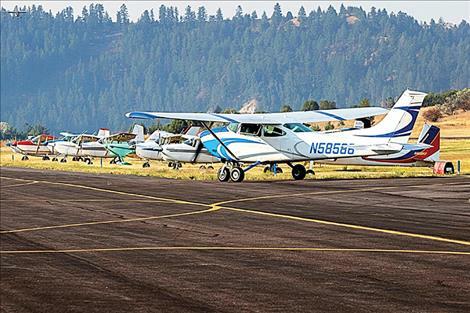 Pilot Tom Bass and youngster Amber Jones of Kalispell flew in a white and blue Cessna 180H. A Royal Canadian Air Force World War II-era North American AT-6C trainer was one of the most popular aircraft during Saturday’s event. Upon arrival, the dazzling yellow plane made a couple loud low-level high-speed fly-overs above the runway.